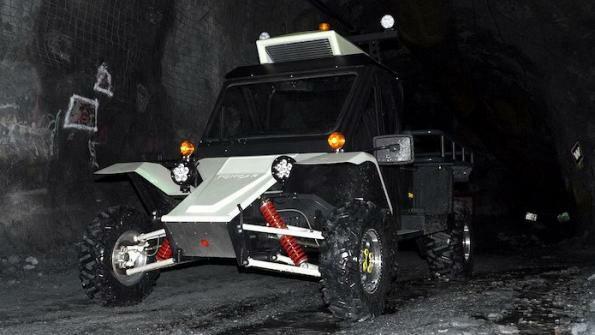 The Tomcar LV1 is electric powered and designed for mining operations. Yamaha announced their new side-by-sides for model year 2017. 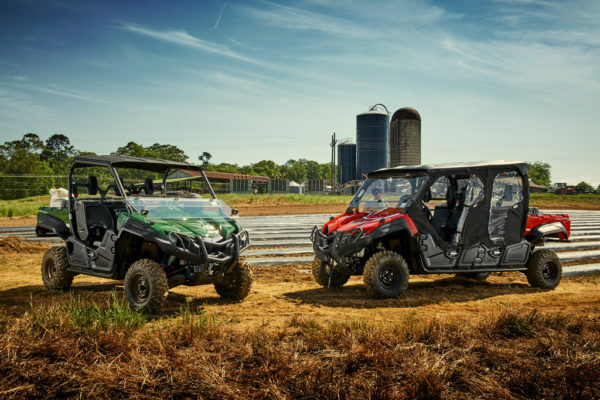 Yamaha Motor Corp., USA, announces its 2017 line of Side-by-Side (SxS) vehicles. Leading the 2017 announcement are Yamaha’s new YXZ1000R SS (Sport Shift) and an all-new YFZ50 youth model. The new Yamaha 2017 SxS models announced today include: the new YXZ1000R SS (Sport Shift), new YXZ1000R SS Special Edition (SE) and new YXZ1000R SE in Matte Black, new Midnight Blue Metallic SE Viking and Viking VI, new Matte Silver Wolverine R-Spec SE, new Yamaha Blue Wolverine R-Spec and new Wolverine with Electric Power Steering (EPS). The 2017 YXZ1000R SS in Blaze Orange. Innovating again this year, Yamaha introduces the new 2017 YXZ1000R SS (Sport Shift), the first and only SxS vehicle to combine pure-sport driving performance with an exciting and high-tech paddle shifting experience. 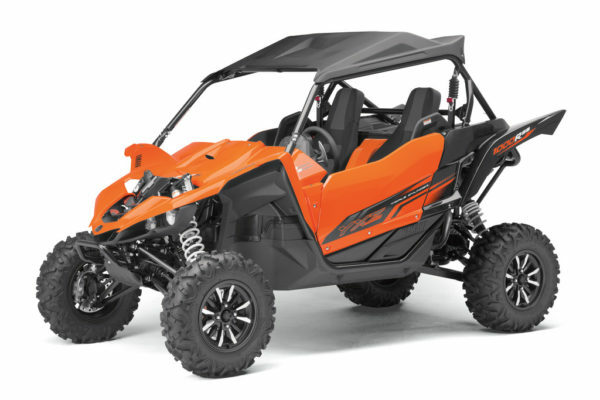 Boasting the same industry-first 3-cylinder 998cc engine and unparalleled direct-connection feeling as the original YXZ, the YXZ1000R SS features Yamaha’s all-new confidence-inspiring Sport Shift transmission. The SS technology is defined by a 5-speed sequential shift manual transmission boasting an advanced automatic clutch and pure-sport inspired paddle shifters — eliminating the need for both the clutch pedal and taking your foot off the gas during shifting. The pure-sport inspired paddle shifters on the YXZ1000R SS are mounted to the steering column and are synched to the Yamaha Chip Controlled Shift (YCC-S) technology, an advanced automatic clutch system that eliminates the need for a clutch pedal. 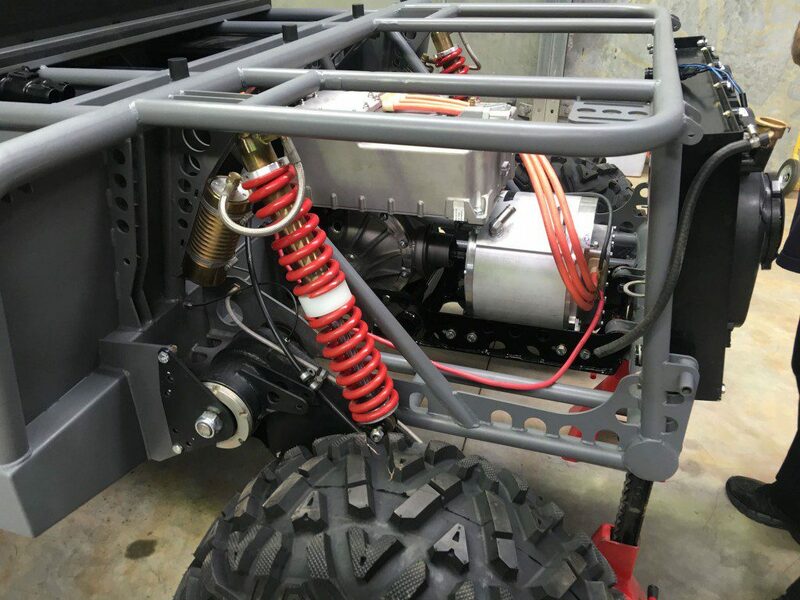 This allows a wide range of enthusiasts on a variety of terrain to enjoy the pure sport performance and direct connection of the world’s first and only manual transmission SxS. The shift sequence — shift up with the right paddle and shift down with the left paddle — is designed to be highly intuitive for drivers, even if they are not familiar with operating a manual transmission. 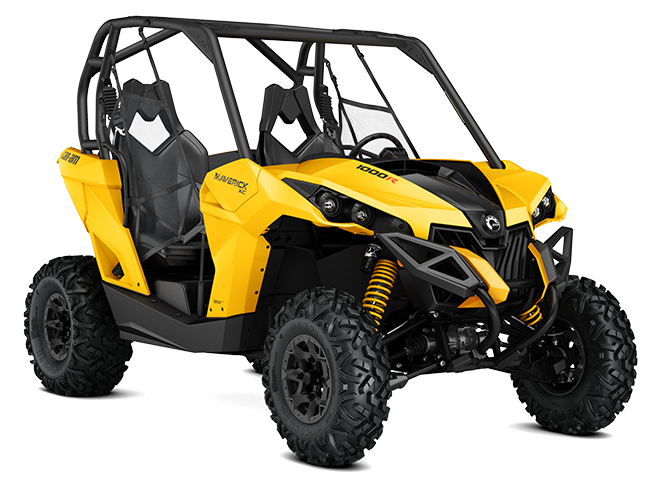 The YXZ1000R SS delivers a fun and exciting experience beyond what one would find in everyday automobiles with paddle shifters. The Sport Shift system incorporates features that complement the overall pure sport SxS experience — an auto downshift feature assists by automatically downshifting to first gear when the vehicle comes to a stop, even if the driver has not done so manually. Another exciting and innovative feature on the YXZ1000R SS is the all-new “Launch System,” which is exclusive to the Sport Shift experience provides an exciting high-acceleration feeling from stop — similar to “dropping the clutch” in a manual vehicle with a clutch pedal — adding to the direct connection experience and exhilaration. New for 2017, the Special Edition YXZ1000R and YXZ1000R SS acquire industry-first twin-wall FOX 2.5 Podium X2 Shocks. These unparalleled shocks were developed in tandem with Yamaha specifically and exclusively for the new Special Edition YXZ models. They provide ultimate slow speed comfort without sacrificing performance during aggressive driving situations combined with unprecedented adjustability to suit a variety of driving types and preferences. A new level of performance and comfort are achieved by creating completely independent high and low speed compression and rebound adjustment, combined with huge 16.2-inches of front and 17.0-inches of rear travel. Additional features of the X2 shocks include dual adjusters on the upper cap and twin tube structure, dual rate springs with coupling and crossover adjustment, position sensitive damping, and more. 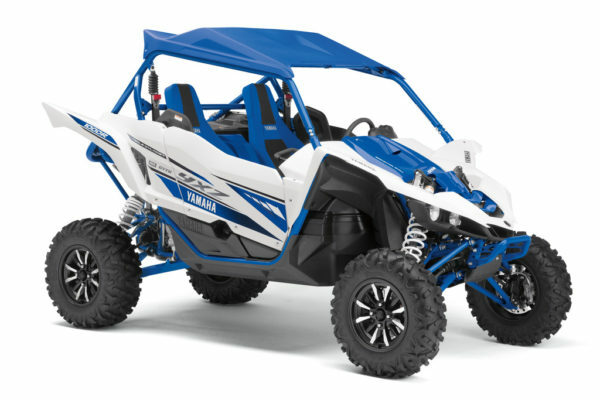 Making its debut to the motorsports world in September of 2015, the wildly successful and highly anticipated pure sport YXZ1000R is available in exciting new color schemes for the 2017 model year. Augmenting the high-end look and feel, the Team Yamaha Blue / White now comes with a color matched Team Yamaha Blue sun top, colored seat stitching, embroidered seats and race-inspired decals. A new YXZ1000R SE in Matte Black shares the same great accoutrements as the YXZ1000R SS SE, including the FOX Podium X2 shocks, yet with the industry-first 5-speed sequential shift manual transmission for ultimate driver-to-vehicle cohesion. The YXZ1000R was the world’s first pure sport SxS, combining the industry’s first naturally aspirated three-cylinder 998cc sport engine with the first ever 5-speed sequential shift manual transmission. 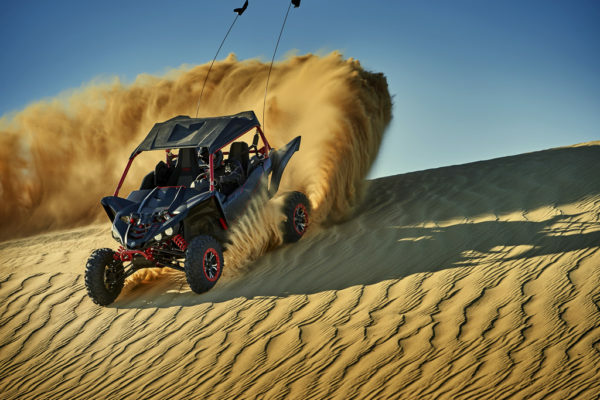 The YXZ1000R is born of Yamaha’s true high-performance DNA — creating a direct connection to the driver and serving up unmatched power and handling characteristics, resulting in a vehicle perfectly positioned as the only choice for the pure sport SxS enthusiast. MSRP on the 2017 YXZ1000R models will be announced this fall. The new Wolverine R-Spec SE in Matte Silver features painted bodywork with color-matched seats and springs, convenient under seat storage, and durable injection-molded polypropylene overfenders for increased protection from the elements. Furthering the off-road capability and comfort of the Wolverine RSpec, the new SE adopts a stout yet lightweight full-length, full-coverage aluminum skid plate set — including the front bash plate, center, rear and side frame skids — aluminum a-arm guards, robust 12-inch true beadlock wheels and a new soft grip over-mold steering wheel with a design exclusively developed for ultimate off-road control and handling. MSRP for the new Wolverine R-Spec SE is $14,799. 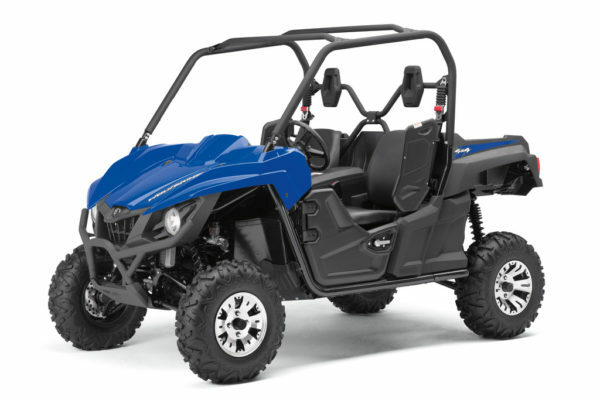 New for 2017, every Wolverine R-Spec now comes with Yamaha’s proven Electric Power Steering (EPS), providing precise handling through the best balance of assist and positive feedback from the terrain. In addition to the new SE, the Wolverine R-Spec is now offered in Yamaha Blue with machined aluminum wheels. Returning colors include the Alpine White with machined aluminum wheels, Hunter Green and Realtree Xtra. MSRP starts at $13,199. The 2017 Wolverine is a fun, comfortable and off-road capable SxS for trail and outdoors enthusiasts. The Wolverine offers new and existing SxS customers alike a full-featured, supremely off-road capable option at a value-packed price point starting at $10,999 MSRP. Adding to the Wolverine’s value-packed features, the 2017 is now offered with Yamaha’s durable and reliable EPS system. Setting the standard in off-road capability and class-leading comfort, all Yamaha Wolverine SxS models feature a new double overhead cam (DOHC), 708cc engine with optimized torque, power delivery and engine character for exciting recreational driving. The Wolverine’s automotive-style cab is designed to provide maximum comfort and confidence for both driver and passenger, especially in extreme off-road environments. 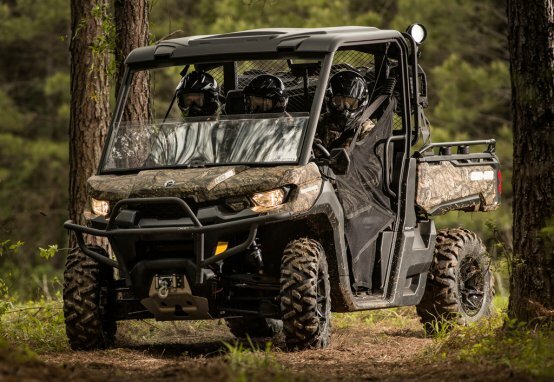 Designed and engineered for exploring extreme terrain, the Wolverine features a nimble chassis with a compact design, look and feel, along with Yamaha’s proven core technologies: Ultramatic fully-automatic transmission, On-Command four-wheel drive and EPS. With class-leading cab room and comfort, coupled with superior handling and off-road capability, Vikings are the toughest and hardest working utility-based SxS vehicles that are also fun to drive. The 2017 Viking and Viking VI are now offered in a new Midnight Blue Metallic SE with silver cast aluminum wheels, overfenders and silver seats. Leading the 2017 Viking line is the premium Ranch Edition Viking VI in Copper Metallic painted bodywork with color-matched brown interior and soft sun top, silver cast aluminum wheels, review center mirror, mud flaps, overfenders, underseat storage, a rear bed grab bar, a heavy duty front brush guard, and unique Ranch Edition badging, bringing an all-new level of comfort and convenience to tough off-road work. Viking enhancements carried up from 2016 include automotive-style two-stage door latches and a parking brake warning buzzer. Noise and vibration reduction features include new rubber damper plates, a more rigid chassis, additional sound dampening materials and an engine-mounted torque rod for a more relaxing quality ride at any engine RPM. The newly reinforced rear steel cargo bed now incorporates mounting points on the bed rails and a rubber cargo bed mat to further reduce sound and vibration, all while improving durability and cargo-carrying options and capacity. Large enough for a fully-loaded pallet, the assisted dump bed can pack up to 600 pounds of equipment and supplies. The standard two-inch receiver hitch is rated to pull 1,500 pounds. The new 2017 Defender MAX DPS HD8 from Can-Am in Mossy Oak Break-up Camo is expected to help drive BRP’s earnings in FY2017. Revenues increased 4% for the quarter to $919.9 from $898.1 in Q1 last year. Net income increased $110.7M, an increase of $27.6M compared to the same period last year. Management reports Can-Am powersports retail outpaced the industry in all geographical markets. 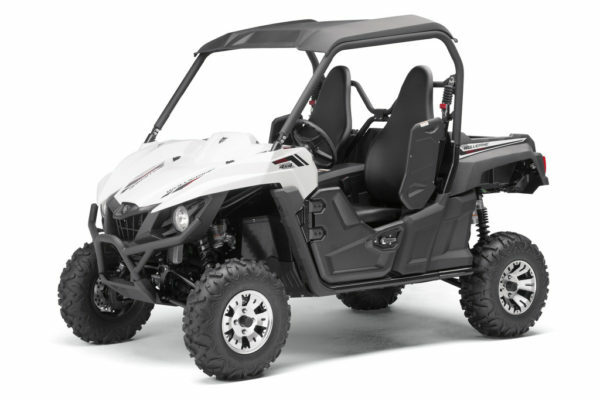 Year-Round Products business which includes side-by-sides, ATVs and the Spyder increased 1% to $400.2 for the quarter. Can-Am side-by-side (SSV) retail grew mid-single digits, slightly lower than industry pace. Management reports good early momentum for the Can-Am Defender. Management expects to launch new SSV every 6 months for four years. New models have been more specialized to target specific applications or sub-segments such as mud riding or entry level price points. Management expects Year Round Products revenue to increase 6% to 10% for fiscal year 2017 driven in part by Can-Am Defender shipments, new product introductions and richer product mix. Comment: This policy is likely to push departments to purchase LSVs rather than golf cars as they will require no modifications to be street legal and will have fewer restrictions with regards to driving on public streets. For a number of years the university and college market has been a good market for low speed vehicles. The institutions like the safety features of the vehicles, as compared to a golf car, and the ability to legally drive on nearby public streets, especially if they need to transverse public roads to access different campus locations. 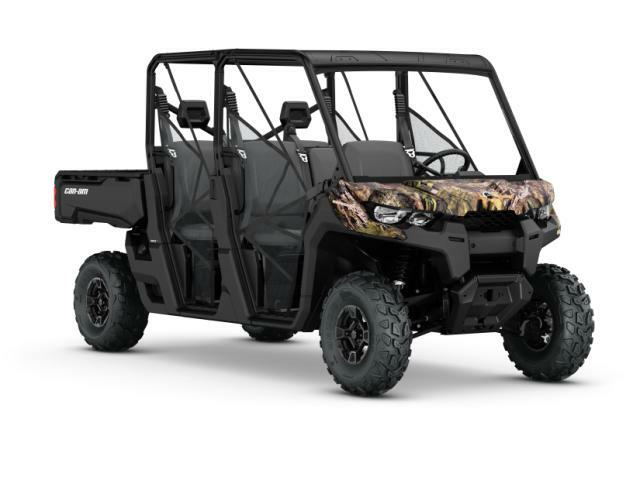 Can-Am continues to build out their Defender lineup with the hunter oriented Defender Mossy Oak Hunting Edition. Can-Am’s 2017 side-by-side product lineup includes three new models: the Can-Am Defender Mossy Oak Hunting Edition, the four-person Can-Am Maverick Max X mr 1000r and the Maverick xc 1000R. 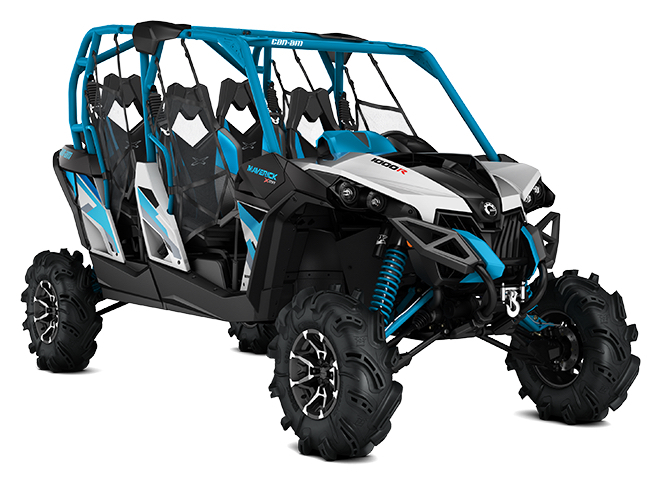 The Maverick Max X mr 1000r builds out Can-Am’s high performance line with a four passenger model. The trail riding line gets an entry level model, the Maverick xc 1000R.